Earlier this week, the Russo Brothers took part in a two-hour Q&A session about Infinity War and you can watch the whole thing below. Avengers 4 is the main topic that Marvel Cinematic Universe fans were hoping to discuss at the recent Q&A session, but the directing duo informed the massive crowd from the start that they would not be answering questions about the still-untiled sequel or the release of its trailer. Instead, the Russo Brothers spoke about Infinity War at length and answered many questions that have prompted some thoughts about Avengers 4. One of the most-asked questions about Infinity War upon its release had to do with Hulk and Bruce Banner, with many fans wondering why Thanos was able to defeat the strongest Avenger so easily. Many MCU fans believed that it was due to the fact that the Mad Titan had already obtained the Power Stone, but the Russo Brothers debunked that theory. Instead, the directors say that Hulk doesn't really use tactics when he goes into battle, which allowed Thanos to methodically think out each move to take him out. Also talked about in the Infinity War Q&A was the Soul Stone. The Russo Brothers admit that it was the final piece to the puzzle that was written and it was meant to show Thanos at his lowest point. The directors also revealed that it was the idea of screenwriters Christopher Markus and Stephen McFeely to bring back Red Skull, which was another question that was asked frequently after the movie hit theaters. The location of the Soul Stone was also one of the last things that was planned for the epic movie. Oh yes, and Loki is officially dead. 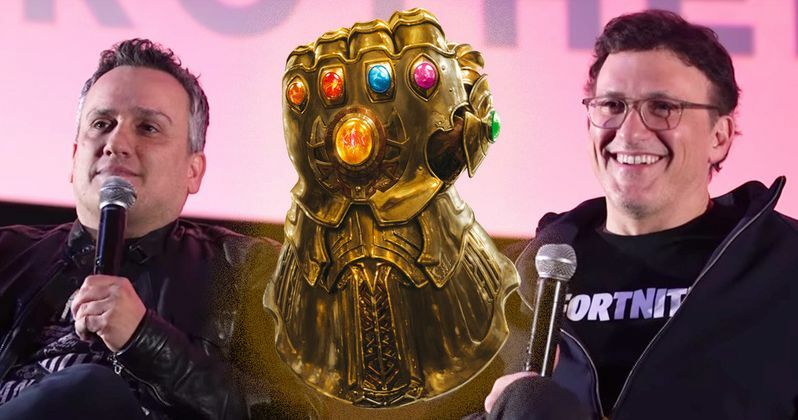 Elsewhere in the Q&A, the Russo Brothers discuss the decision to separate Infinity War from Avengers 4. Originally, the plan was to film both movies concurrently and have them serve as Infinity War Part One and Part Two. However, that changed before production started after the directors realized how different the stories are and that both movies stand alone. Additionally, the decision was made because it was already confusing crew members as to what movie the specific footage would belong to. In the end, filming back-to-back would have been a logistical nightmare for all parties involved. Now that Infinity War has been discussed inside and out, it's time for the focus to shift to Avengers 4. MCU fans have been waiting patiently (or impatiently) for the first trailer to drop along with the official title, which has been promised to come out before the end of the year. Many believed that the end of November would be the time, just like Infinity War's first trailer, but that obviously is not the case. Instead, the trailer will drop in the coming weeks, with many hoping that it happens on Monday, December 3rd. While we wait to find out, you can watch the entire two-hour Q&A with the Russo Brothers below, thanks to the Collider Videos.